There is a very interesting exhibition in New Babylon, Den Haag. It is called “Terracotta Warriors“. The exhibition will stay there until the 1th of July 2013. After that it will go back to Moscow. 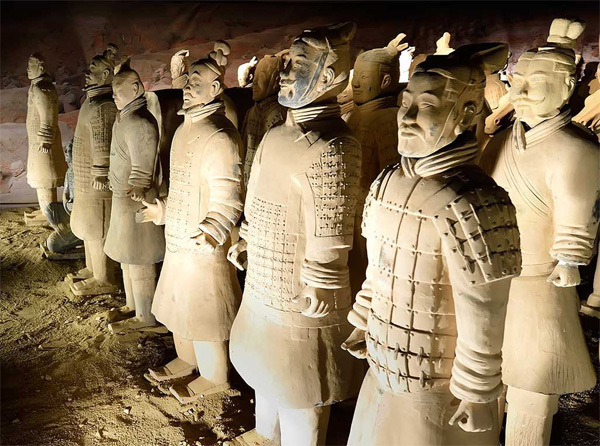 From very humble, accidental beginnings in 1974, when a clutch of local farmers in the Shanxi province of Eastern China began to unearth the first remnants of this extraordinary find, this vast excavation went on to uncover some 8000 warriors guarding the grave of their deceased Emperor. Laid beneath shallow Earth for some 2000-plus years, this incredible burial ground, a treasure of humanity, has since gone on to become a huge tourist attraction for all generations around the Globe, quickly securing itself on the list of UNESCO’s World Heritage sites. And now, for the first time, you can experience a taste of this stunning wonder here in Holland.